January 21st - Granola Day! January 21st is a Monday and also happens to be National Granola Day! It’s the perfect time to host a Grab-and-Go event for your residents before they head off to work! Can’t do it early morning? Host it as an after-school or after-work treat. 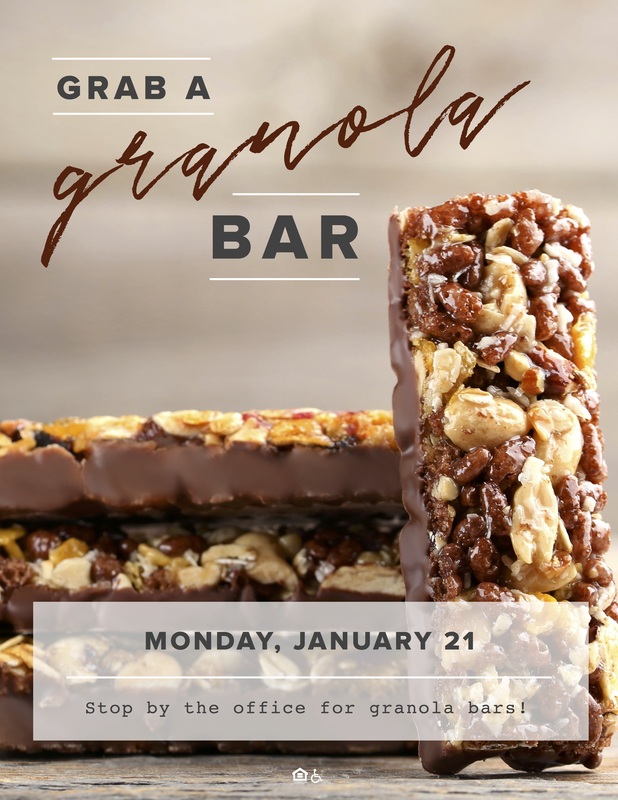 Let residents know in advance by downloading your Granola Bar invite and posting it in common areas, email or newsletter. Share it on all of your social media platforms. Schedule reminders to post Sunday evening or modify for Monday morning. A day devoted to granola bars? Yes, indeed! Tomorrow is National Granola Day and we’ve got you covered. Stop by the INSERT LOCATION tomorrow between INSERT TIME and grab a granola bar of choice. See you then! 3. Monday Morning: Get the coffee brewing, set out the goodies and treat your residents as they start their week off right. All thanks to you! Grab This Event Sign Here! If you’re personally handing out granola bars in the morning pair it with a referral flyer or a review flyer. We love events that pack a double punch! 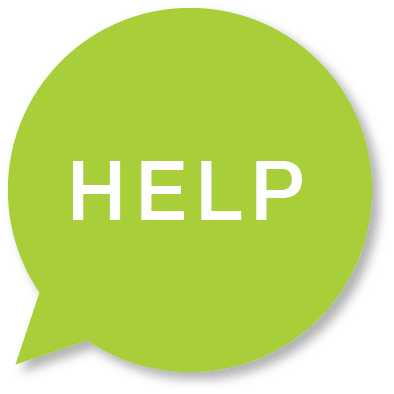 Customize This Referral Design Here. Older PostA Tiny Library...Your Newest Amenity?